I just had to share this wonderful card I recently received from James & Henry. They were married on June 3rd at the Brooklyn Botanic Gardens. [Check out photos from their wedding here.] 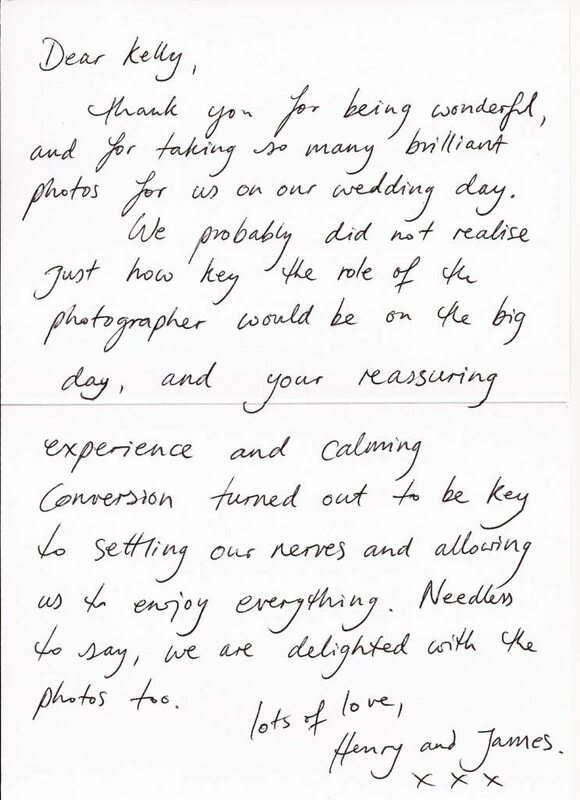 Congratulations, again, to you both from across the pond (they live in the UK), and thanks so much for your kind words! Aldrin & Mike Published on Wedding Wire!